In this classic American comedy, an uncouth, corrupt junk dealer, Harry Brock, brings his showgirl mistress Billie Dawn with him to Washington, D.C. When Billie’s ignorance becomes a liability to Brock’s business dealings, he hires a journalist, Paul Verrall, to educate his girlfriend. In the process of learning, Billie Dawn realizes how corrupt Harry is and begins interfering with his plans to bribe a congressman into passing legislation that would allow Brock’s business to make more money. 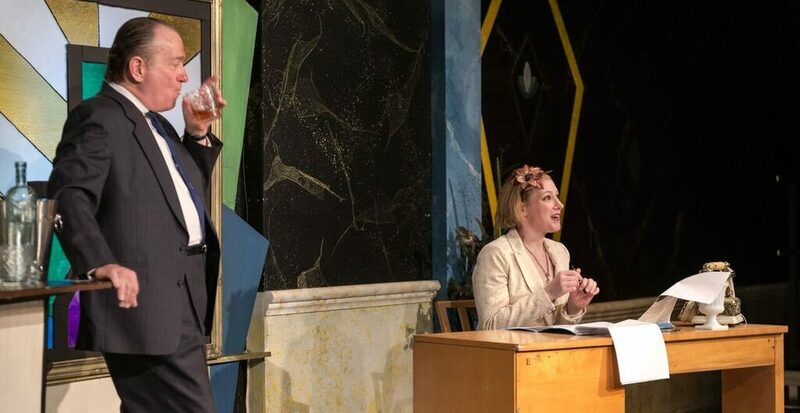 "The show, directed with typical astuteness by Matthew Byron Cassi, is every bit as funny and smart as it should be. Every actor is marvelous, but the show belongs to Burnside. She delivers a nicely observed gem of a performance. Her body language underscores the changes in Billie from the first act to the second. She seems to be just along for the ride in the first act, sashaying in and out of the sitting room in their hotel suite and begrudgingly sitting in on a socal call by a senator and his wife." "The action plays out on a gorgeous art deco set, the detailed work of set designer Karen Arredondo-Starr and scenic artist Kendall Davila. Diane Malone's costumes, too, add a lot to the show, as does Steven Starr's lighting and Rick Malone's sound design. The production is a winner from start to finish." "‘Born Yesterday’ is a must see for anyone looking for more than just another feel good performance. It is a thinking person’s show that balances comedy and drama. 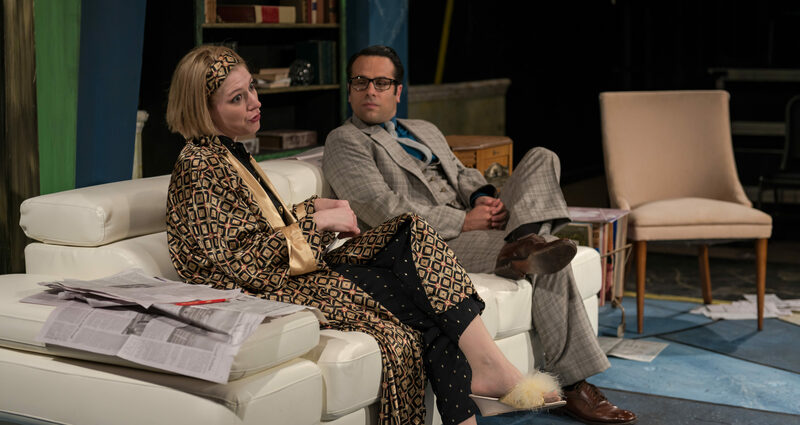 Hayley Burnside has perfect comedic timing as Billie especially during the dialogue free scene when she and Harry play a game of gin rummy. The shocking moment comes when Harry physically attacks her to force her to sign a contract and it is the turning point of the story. After seeing Greg Hinojosa, who plays Harry, in past shows like ‘La Cage Aux Folles’ it is good to see him flex his acting muscles in such a serious and demanding role. 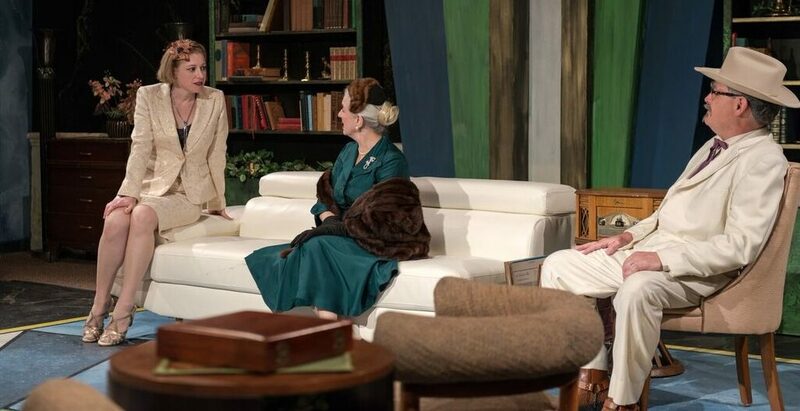 The entire cast is excellent in their roles and the costumes and production value are top notch."